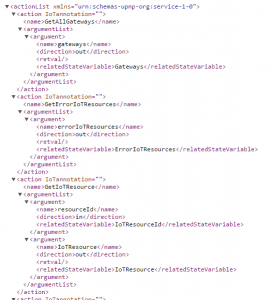 The IoTResource Builder allows you to define your IoTResources and automatically generate the necessary IoTResource code stubs. 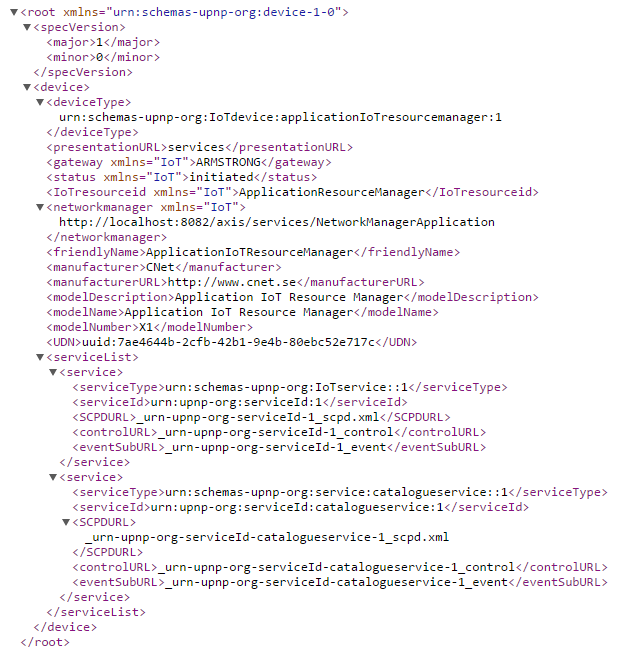 Services can then be built using these IoTResources. 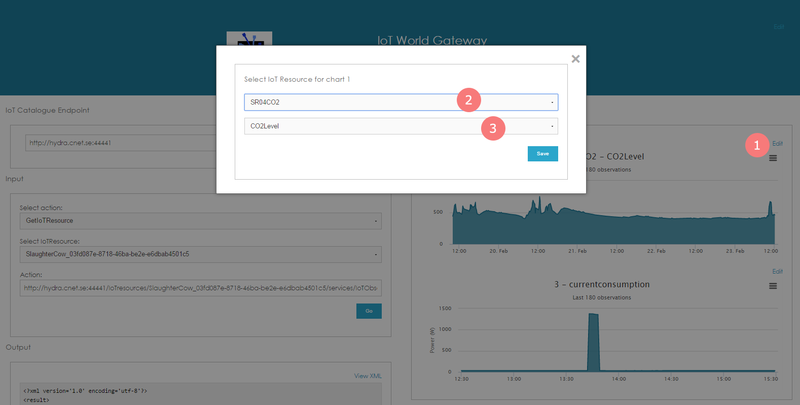 This tutorial shows how to the use the IoTWorld Gateway. 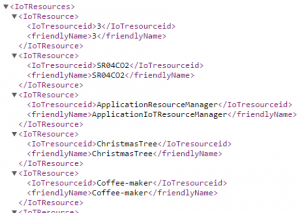 This tutorial is a quick guide on how to access IoT Resource and their meta data using the IoT Resource Catalogue. 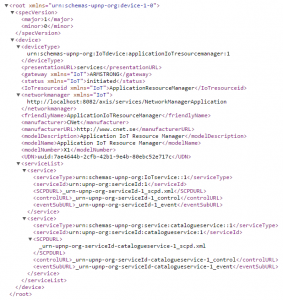 It also explains how to invoke actions and retrieve data from IoT Resources using the IoT Resource Catalogue. 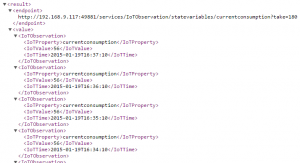 This tutorial teaches you the basic principles of interacting and using IoT Resources. 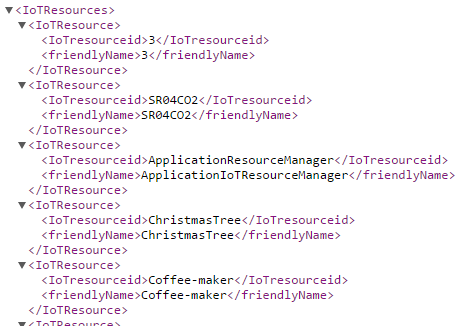 It teaches you how to find an IoT Resource in the IoT Resource Catalogue and how to read out meta data as well as how to invoke actions. 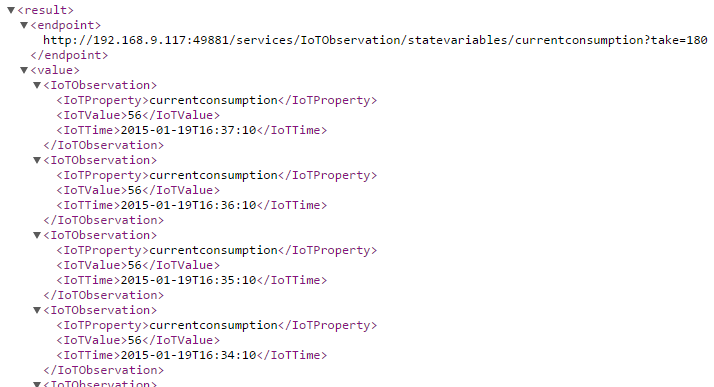 Here are some examples of how to use the catalogue to search for IoT Resources and perform actions on them. These can be tested against the demo catalogue at CNet, linksmart.cnet.se:44441. You can watch and see the effect of your commands at the demo setup at webcam.cnet.se. 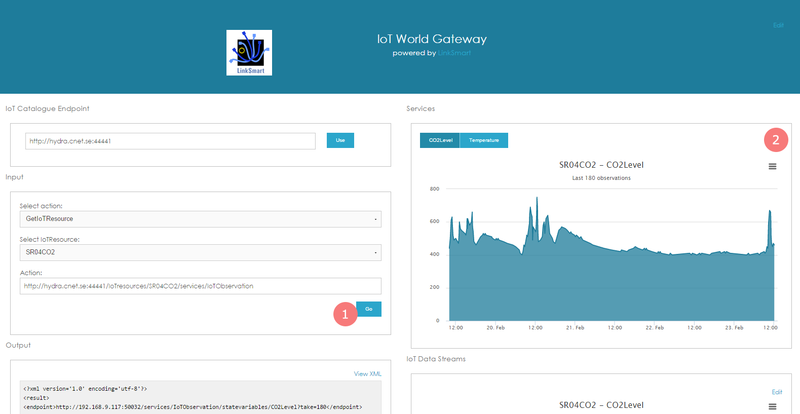 This is a guide to the IoT World Gateway GUI which is a visualizing tool for your IoTWorld. The “Go” button visualizes the selected action in the “Output” window to the left bottom, and in the case of the GetIotResource action the IoTResource services will be shown to the top right (see next image). The “Output” window shows the xml results from the Resource Catalogue, by clicking the “View xml” link to the upper right corner of the window a new browser tab will be opened with the same results. 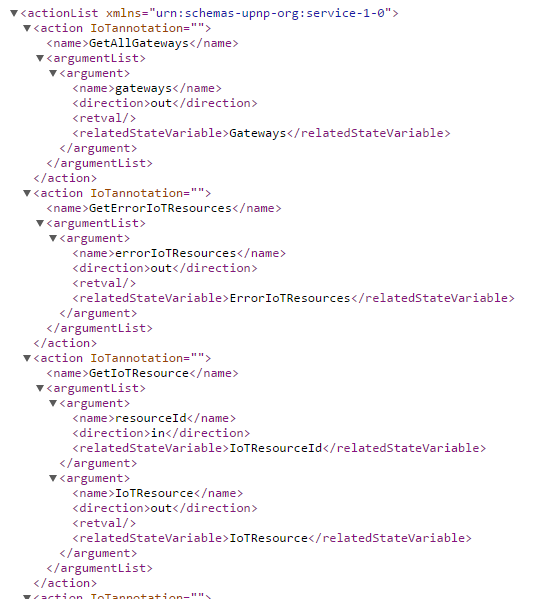 You could also copy the URL from the previous action field (4) and get the same result. 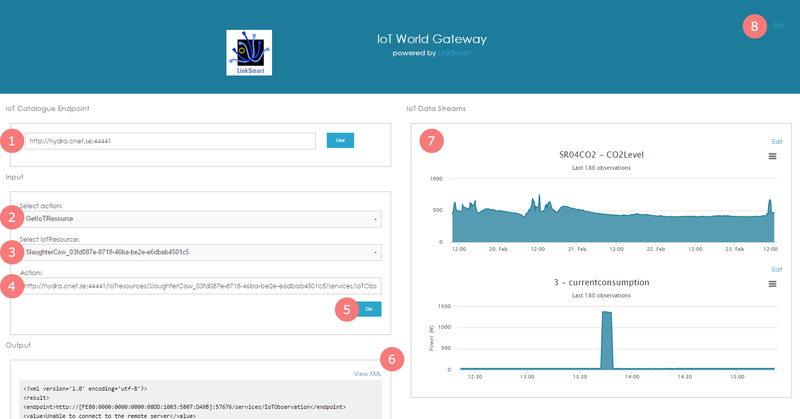 The “IoT Data Streams” window consists of two customizable charts showing two of the IoTResources. Which IoT Resource to show can be edited by clicking on the “Edit” button to the upper right of each chart.